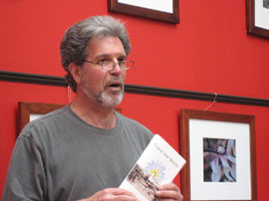 Russ Golata is an award-winning poet who lives in Central Florida. 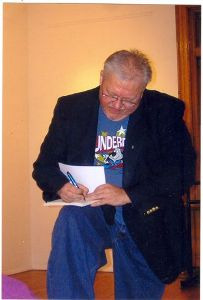 He is a member of the Vista Writing Circle of Orange County. Hosts the Orlando Poetry Group readings at Austins, every 3rd Wednesday, and 1st Tuesdays at the Daily Grind. Founding member of Poetry Ensemble of Orlando. Born and raised and living in New York City, Kirpal Gordon enjoys building meditation gardens in between writing projects. His thirty year collection of jazz writing, Eros in Sanskrit, and its companion CD of spoken word and jazz, Speak-Spake-Spoke, are available from www.LeapingDogPress.com. David Graham is the author of two full-length books and four chapbooks of poems, most recently Stutter Monk (Flume Press); with Kate Sontag, he also co-edited the essay anthology After Confession: Poetry as Autobiography (Graywolf Press). His poems, essays, and reviews have appeared widely in print and online. Home base: Ripon, Wisconsin, where he is a professor of English at Ripon College. Allan Graubard's poems appeared in the recent Shamanic Warriors, Now Poets (edited by Ira Cohen and J.N. Reilly) and Celestial Graffiti (edited by Ira Cohen). His play, For Alejandra, on the suicide of poet Alejandra Pizarnik, was last performed at the Sibiu International Theater Festival, Romania, summer 2003, with publication and a national radio broadcast, after its premiere in New York and runs in Washington, DC, and Dubrovnik. In 2005, Green Integer Press will publish his adaptation of Gellu Naum’s play, The Taus Watch Repair Shop, in collaboration with translator Sasha Vlad. Previous translations include Vlado Gotovac: Selected Poems (The Most/The Bridge, Zagreb), and King Gordogan, by Radovan Ivsic (P.E.N. Center, Zagreb). He has read at Beyond Baroque (Venice, California), Zebulon (NY), Museum of Contemporary Arts (Washington, DC), and a host of other places. Photo by Ira Cohen. Arpine Konyalian Grenier is a poet turned scientist and musician. Her work has appeared in How2, Columbia Poetry Review, The Iowa Review, Phoebe, Big Bridge, diode and elsewhere, including several anthologies. Part, Part Euphrates (NeO Pepper Press, 2007) is her latest publication. Hanoch Guy, who spent his childhood and youth in Israel, writes poetry in both Hebrew and English. 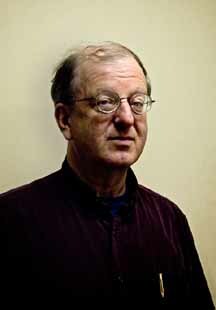 He is an emeritus professor at Temple University, and has published poetry in Genre, Poetry Newsletter, Tracks, The International Journal of Genocide Studies, Poetry Motel, Visions International and several times in Poetica, where he won an award. 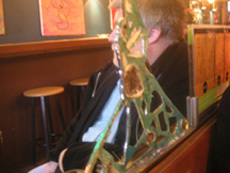 He has also won an award from the Mad Poets Society in 2007. 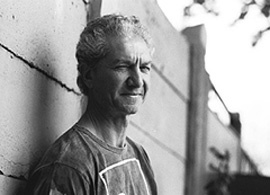 David Hadbawnik is a poet and performer currently living with his wife in Buffalo, NY. Recent publications include the books Translations From Creeley (Sardines, 2008), Ovid in Exile (Interbirth, 2007), and SF Spleen (Skanky Possum, 2006); essays in Jacket and Chicago Review; and poems in Damn the Caesars, Little Red Leaves, and Exquisite Corpse. He is the editor and publisher of Habenicht Press and the journal kadar koli. He began studying towards his PhD in poetics at SUNY Buffalo in fall 2008 where he directs the Buffalo Poets Theater..
Jefferson Hansen's latest novel is "and beefheart saved craig." 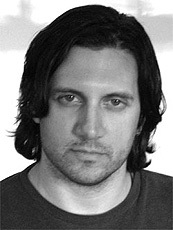 He is currently at work on a serialized novel, "Those Who Can't Teach Deal Drugs," which can be found at badboywriters.com. A chapter or two goes up five days a week. A book of poetry, "Jazz Forms," will be out in early 2010. He lives in Minneapolis and in addition to the badboy site, runs twincitiesjazzscene.com which covers the hot, Minneapolis-St. Paul jazz scene. Katherine Hastings is the author of several chapbooks, including Wolf Spider and Sidhe, both published by dPress and Lonidier Rampant, The Small Change Series, WordTemple Press. Her work has appeared in many journals and anthologies. She founded and hosts the WordTemple Poetry Series in Santa Rosa, CA, bringing well-established poets together with poets who have not yet published a book of poems. 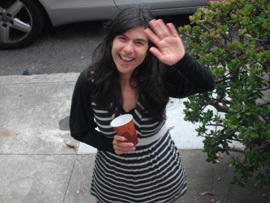 In addition, she hosts a radio program, also called WordTemple, on Santa Rosa's NPR-affiliate KRCB 91.1 FM (for information go to http://www.wordtemple.com). 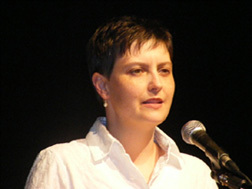 Silke Heiss has published poems and prose since 1990 in local journals and a couple of anthologies. She holds an MA in Creative Writing from UCT where she wrote a novel, which won second prize in the Ernst van Heerden Creative Writing Competition in 2002. She was sponsored by the National Arts Council in 2005 and 2006 and produced a short story collection, The Lacework, and a second novel, The Heathens. Since 2007, her verse novel, The Griffin Elegy, has been serialised in New Contrast. 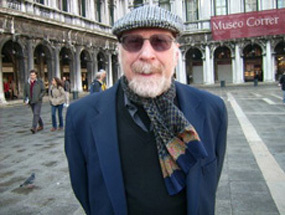 Michael Heller is a poet, essayist and critic. Among his most recent books are Eschaton (2009), Two Novellas (2009) and Exigent Futures: New and Selected Poems (2003). Earth and Cave, his mixed-genre journals of the 1960s when he lived in Spain, was published in 2007. His most recent critical work is Speaking the Estranged: Essays on the Work of George Oppen (2008). Tom Hibbard has had recent poems appearing online in Cricket (vol. 1, issue 2), Eratio (issue 7) and Otoliths (issues 2 and 3); these poems are from a multi-media piece titled Iraqi Ice Tea and a 2006 chapbook titled Ghotki Crater. Several recent reviews have also appeared, in Moria (vo. 9, issue 1) on David Meltzer and in Jacket (issue 30) on Mark Wallace and on the ejournal Big Bridge. 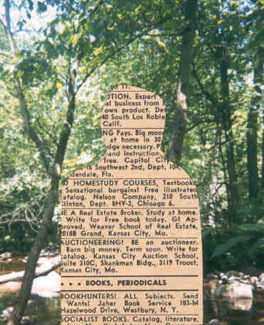 Hibbard's chapbook Nonexistent appeared in 2004. Other works mostly poetry and reviews are easy to locate in many places online. 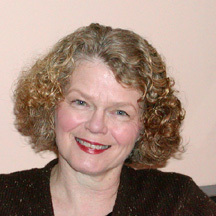 Colleen Higgs is a writer and publisher. 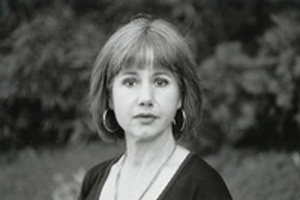 Her writings have appeared in literary and other magazines since 1990. Recently she has had stories published in collections such as Dinaane (Telegraph Books, 2007) and Just Keep Breathing (Jacana, 2008). 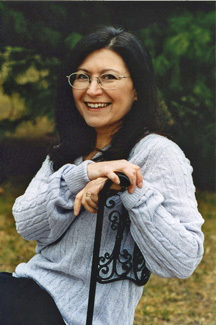 While working at the Centre for the Book, among numerous other book development activities, she managed the award-winning Community Publishing Project. She participated in the 2006 British Council sponsored Crossing Borders project. In 2007 she started Modjaji Books, an innovative small press that publishes the writing of Southern African women. She lives in Cape Town with her partner and daughter. 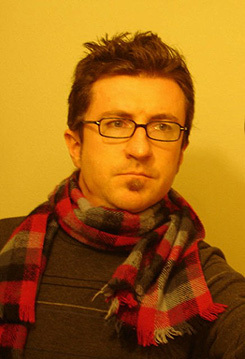 Sean Patrick Hill is a freelance writer, naturalist, and teacher living in Portland, Oregon. He earned his MA in Writing from Portland State University, where he won the Burnham Graduate Award. He received a grant from Regional Arts and Culture Council and residencies from Montana Artists Refuge, Fishtrap, and the Oregon State University Trillium Project. His poems appear or are forthcoming in Exquisite Corpse, elimae, Alba, diode, In Posse Review, Willow Springs, RealPoetik, The Pedestal Magazine, The Battered Suitcase, Unlikely 2.0, The Foliate Oak, Sawbuck, and Quarter After Eight. His blog site is theimaginedfield.blogspot.com. 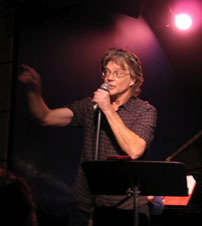 Eric Hoffman is the author of four collections of poetry, Things Like This Happen All the Time (2000), Threnody (2006), Of Love and Water and There (both 2008). A book, George Oppen: Survival’s Thin, Thin Radiance is forthcoming. He lives in Manchester, Connecticut with his wife, Robin. Allan Kolski Horwitz grew up in Cape Town where he studied political philosophy and literature. Between 1974 and 1985 he lived in the Middle East, Europe and North America, returning to South Africa in 1986. He currently lives in Johannesburg and is the co-ordinator of the Botsotso Jesters, a poetry performance group, and of Botsotso Publishing. His short fiction is contained in two collections, Un/common Ground and Out of the Wreckage. He has also published Saving Water, a collection of poetry, and Blue Wings, a children’s parable. James Iredell grew up in Monterey, California, and now lives in Atlanta, but his folks are still on the Central Coast, so he gets home often. He misses fog. His book, When I Moved to Nevada, is forthcoming from The Greying Ghost Press. His work has appeared or is forthcoming in Descant, elimae, The Chattahoochee Review, SUB-LIT, The Literary Review, Hotel St. George, and elsewhere. 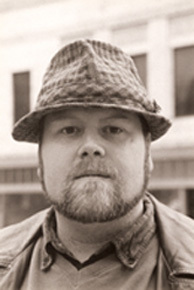 Gray Jacobik is a poet and painter who lives in Deep River, Connecticut. Her collections include Brave Disguises (AWP Poetry Prize, Pittsburgh University Press), The Surface of Last Scattering (X. J. Kennedy Prize, Texas Review Press) and The Double Task (Juniper Prize, University of Massachusetts Press). She is on the faculty of The Stonecoast MFA program. 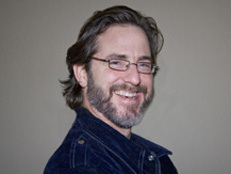 Grant Matthew Jenkins, Assistant Professor of English and Director of the Writing Program, teaches 19th and 20th Century literature from both sides of the Atlantic, as well as creative writing. 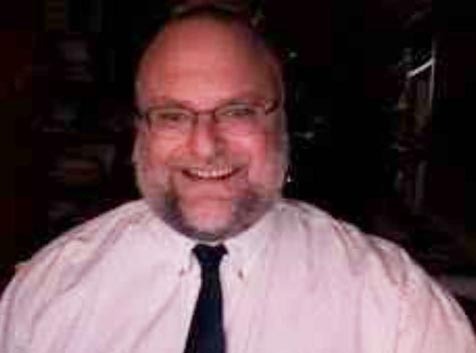 His research interests include poetry and poetics, contemporary American literature, African American and Jewish American literature, female editorship in 19th Century British novels, Modernism, and critical theory. His book, Poetics of Obligation: Ethics in Experimental American Poetry Since 1945, was published in April 2008 by the University of Iowa Press. He is currently working on a book-length study of experimental black poetry written after 1970, including the work of Nathaniel Mackey, Erica Hunt, Harryette Mullen, and Mark McMorris. 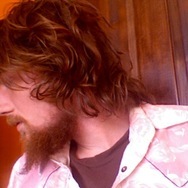 His current creative projects include work with digital flash poetry, image, and sound. Liesl Jobson is a freelance writer, photographer and bassoonist. Her poetry and prose have appeared in journals and anthologies in South Africa and internationally. She won the POWA Women’s Writing Poetry Competition (2005) and her debut poetry collection, View from an Escalator, was awarded a Community Publishing Project grant from the Centre for the Book (2007). 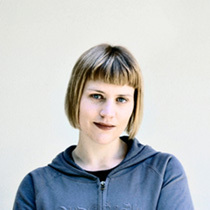 She is the national editor of Poetry International Web, South Africa and the Johannesburg editor for Book SA. 100 Papers, her debut collection of flash fiction and prose poems, won the Ernst van Heerden Creative Writing Award (2006) from the University of the Witwatersrand and was published by Botsotso in 2008. Brooks Johnson lives on the west side of of Chicago, where he throws noise rock shows in his basement, tries to avoid the cops, and keeps a garden.He edits the irregular po-rag: Ah Bartleby! 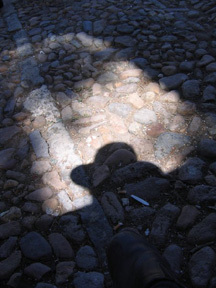 Halvard Johnson spends most of his quality time in San Miguel de Allende, Guanajuato, Mexico, nowadays. His latest collection of poems is Organ Harvest with Entrance of Clones from Hamilton Stone Editions (2007). Jane Joritz-Nakagawa's poetry books are Exhibit C (2008), Aquiline (2007) and Skin Museum (2006). She lives and works in central Japan and is now at work on her fourth book. Email is welcome at janenakagawa at yahoo dot com. 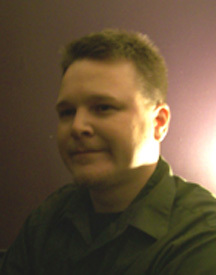 John Joynt is currently a web editor at Drunken Boat. His poetry can be viewed in the latest issues of Jack Magazine and Pregnant Moon, and in upcoming issues of Poetry Flash and Remark. Aryan Kaganof is a project of the African Noise Foundation. More info at kaganof.com and kagablog.com. Paul Khan is an information architect working in Paris; he teaches that subject in France and elsewhere. Since 2005 he has edited NEW Magazine, visual and verbal communication, an annual of writing and contemporary art. His most recent books are Travels/Meeting Drawings (Dynamic Diagrams 1998) and Mapping Websites (Rockport Publishers 2001), both collaborations with designer Krzysztof Lenk. His writing on Chinese poetry in translation includes Han Shan In English (White Pine, 1989). He the author of the American English adaptation of The Secret History of the Mongols (2nd edition: Cheng & Tsui, 1997), the thirteenth century Mongolian narrative of the life of Chingis (Genghis) Khan. Nicholas Karavatos was a manual worker by day and a poet-musician by night before going into debt to complete his formal education. A graduate of Humboldt State University in Arcata and New College of California’s Poetics Program in San Francisco, he is currently an assistant professor in the Department of English at the American University of Sharjah, United Arab Emirates. His poems have appeared in After the Fallen, Blackbox, Certain Stones, Cherry Bleeds, Country Activist, debt, Earth First! Radical Environmental Journal, EcoNews, Edge City Magazine, Humboldt-Central American Solidarity Newsletter, Juke Jar, Log, Minotaur, mirage[periodical], Paisley Moon, PoetsWest Online, Prophetic Voices, Prosodia, Red Fez, San Fernando Poetry Journal, Smack, Steelhead Special, Surfing the Mosh, there., Thieves Jargon, Tight, Travelling Poet, Toyon, Unlikely Stories and What the Hell. (Please support every independent literary effort!) In the summer of 2008 he returned to the United State for a visit, reading in a dozen cities in California, Oregon, and Washington. 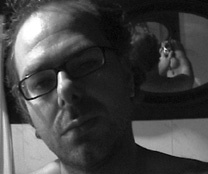 He invites you to visit http://nicholaskaravatos.blogspot.com/ for text and audio. S. K. Kelen’s poems have been published widely in Australia and abroad since the early 1970s. He has travelled with intensity and written many poems in and about East Asia and the Pacific. 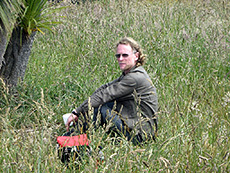 His most recent books are Goddess of Mercy (Brandl&Schlesinger, 2002) and Earthly Delights (Pandanus, 2006). 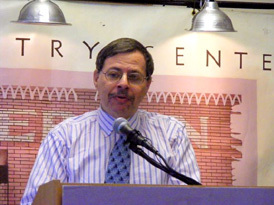 Burt Kimmelman has published five collections of poetry – Musaics (Sputyen Duyvil Press, 1992), First Life (Jensen/Daniels Publishing, 2000), The Pond at Cape May Point (Marsh Hawk Press, 2002), a collaboration with the painter Fred Caruso, Somehow (Marsh Hawk Press, 2005), and There Are Words (Dos Madres Press, 2007); his volume of poems titled As If Free is forthcoming in 2009 (from Talisman House, Publishers). For over a decade he was Senior Editor of Poetry New York: A Journal of Poetry and Translation. He is a professor of English at New Jersey Institute of Technology and the author of two book-length literary studies: The "Winter Mind": William Bronk and American Letters (Fairleigh Dickinson University Press, 1998); and, The Poetics of Authorship in the Later Middle Ages: The Emergence of the Modern Literary Persona (Peter Lang Publishing, 1996; paperback 1999). 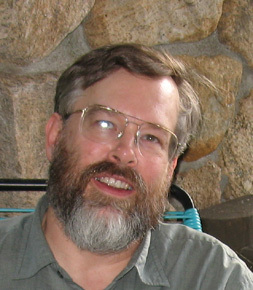 He also edited The Facts on File Companion to 20th-Century American Poetry (Facts on File, 2005). Sybil Kollar’s poetry collection Water Speaking to Stone was published by Pivot Press, 2004. Her work has appeared in numerous literary journals including The American Voice, Chelsea, Columbia:A Journal of Literature and Art, Big Bridge, The Hamilton Stone Review, The Literary Review, New Millenium Writing, and Rattapallax. 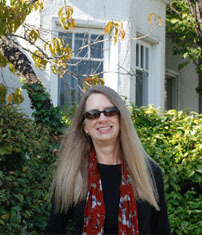 Her poems have been published in anthologies including A Formal Feeling Comes: Poems in Form by Contemporary Women, and she’s written poems as text for a song cycle “Just Us” composed for mezzo-soprano and flute by Donna Kelly Eastman which was performed in Washington and included in the CD Series of the Society of Composers, Inc. She is a recipient of a New York Foundation for the Arts Fellowship in Poetry and has been awarded writing residencies in Germany, Scotland and Spain. She is currently working on a prose poem collection called Where the Sticks Fall. anton krueger is sitting on a cat-scratched blue chair wondering what to write for his 100- word bio. on the one hand, he feels like mentioning that he graduated recently and now has a doctorate, although that might sound pompous. on the other hand, he wonders whether or not he should mention that he's going bald, because that would be self-deprecating. and yet, all of these things are true. (especially the part about the chair). 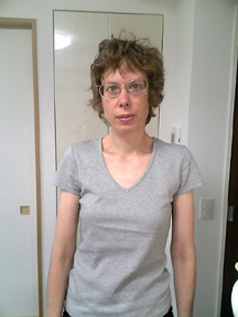 Haidee Kruger is a lecturer, editor, writer and translator. She holds an MA in English Literature (on the Beat poetry of Allen Ginsberg) and is currently reading for a PhD in Translation Studies. 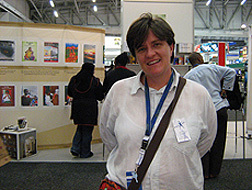 She has had poetry, fiction and cut-ups published in various South African and international print and online journals. Her debut collection of poetry, Lush: poems for four voices, was published by Protea Book House in 2007. Louise Landes Levi has translated & written books, published chap books, broadsides & cards, / played sarangi in concert halls, in radio stations in town squares & railroad stations for some decades & perhaps for some lives. Overland journeys to India produced several interpretive translations/ one of Rene Daumal ( the great Sanskrit autodidact & author of well known Mt. Analogue) RASA originally printed by New Directions (1982), now available through Siva Stan, the other, of the legendary poet genius Mira Bai whose devotion to Krishna freed her entirely. SWEET ON MY LIPS was published by Cool Grove Press in 1997 & reprinted in 2003 w. an introductory essay by La Monte Young. In a strange twist of fate, much of Ms. Levi’s own work was thrown away by a concierge (or divine agent) in Paris, 1977. Henri Michaux, known for his eremitism & anonymity, nurtured our author through this crisis. A generous selection of LLL’s translation from HM, plus an essay on her meeting with him can be found on line at www.milkmag.org. Forthcoming fr. Coronamundi, a large selection of the work. Towards Totality, 2005. 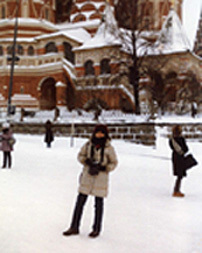 Ms. Levi studied at the Univ. of Calif, played with Daniel Moore’s early fusion orchestra The Floating Lotus Magic Opera company, then traveled East, for more instruction. Please refer to www.coolgrove.com (Guru Punk & Sweet on My Lips/author interview) for details. Her poetry books include early chap books: Poems Ambrosial Press, Bombay, 1972, The Water Mirror (Het Water Spiegel) the Amsterdam School (tranls. B. Mohr) 1983, Amiata, Felix Mansingh, Amsterdam 1984, Departure, Guus Bauer, Amsterdam, 1986 and Concerto, Accordian Series, 7, City Lights Books, San Francisco, 1988, Extinction, Left Hand Books, Barrytown 1990 & 1992, The Tower, Il Bagatto, Amsterdam, 1994, The Highway Queen, PBP, Amsterdam & Vienna, 1994, Le Lampade di Casa Sono State Acesse, MA, tranls. Rita Degli Esposti, Supernova, Venice 1996 & 2000, Guru Punk, Cool Grove Press, Brooklyn, 1999, Chorma, transl. Sibila Rigori Porto dei Santi, Loiana 2000, Avenue A & Ninth Street, Shiva Stan Kathmandu-Woodstock, 2004, Ma’ Kar A Kar/MA, Univ. of Rhode Island, Providence, 2005 & forthcoming Crazy Louise, Felix Mansingh, Amsterdam 2005. Since 1992 she has directed Il Bagatto Books, printing occasional chapbooks, broadsides & postcards. The press originated in Arcidosso, Italy & travels w. her. It is co-sponsored by Ms. Sofia Bentinck. Books online: Banana Baby (2003) www.poeticinhalation.com, ed. Andrew Lundwall , Chorma (2000), www.portodeisanti.org in English w. facing Italian transl., also printed in handmade edition by Porto dei Santi, The Highway Queen (1994) www.genabrink.com, originally designed as a map by il Bagatto w. Post-Buddhist-Punk, Vienna. ed. S. Peddi and the anthology ‘Celestial Grafitti' at www.poetz.com, Six Poems, ed. by Ira Cohen. Marina Lazzara is a poet and musician who works with the homeless & studies herbalism by day, and plays rhythm guitar with The Rabbles by night. She has published here & there and is editor of the literary tabloid, Plastic Ocean. She lives in San Francisco with musician, J. Lee, and their daughter, Maizie Jade. To get a sense of what she does with Plastic Ocean, check it out in the Little Mags section of this issue of Big Bridge. 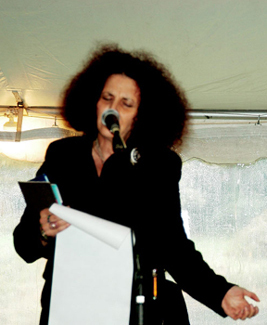 Lynn Levin’s third collection of poems, Fair Creatures of an Hour, will be published in 2009 by Loonfeather Press. Her poems have appeared in Ploughshares, Boulevard, Lilith, Hunger Mountain, Margie, 5 AM, Many Mountains Moving, Hamilton Stone Review, on Garrison Keillor’s show, The Writer’s Almanac, and many other places. She teaches at the University of Pennsylvania and at Drexel University, where she is also the executive producer of a TV show, The Drexel InterViewTM. 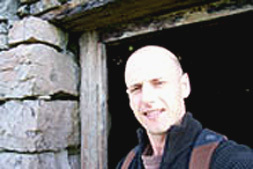 Stephen Lewandowski has published nine small books of poetry, and his poems and essays have appeared in regional and national environmental and literary journals and anthologies. He is a graduate of Hamilton College who later did graduate work with Louis Jones in the Cooperstown Graduate Programs in American Folk Culture and with Howard Nemerov and William Gass at Washington University in St. Louis. Lewandowski has worked as an environmental educator and consultant in the western Finger Lakes for thirty years. He is a founder of the Coalition for Hemlock and Canadice Lakes and the Canandaigua Lake Watershed Task Force. He is currently employed as the Program Director of the Lake Ontario Coastal Initiative. His most recent chapbook of poems, Digging Wild Soils, was published by Benevolent Bird Press of Delmar, NY. His work is either forthcoming or recently published in Bellowing Ark, The Scream, Hanging Loose, Free Verse, The Kerf, Puella Mea, House Organ, Stone Canoe and Blueline. His essays have been published electronically at www.Rochesterblog.com, www.crookedlakereview.com, and www.yorkstaters.blogspot.com. Poet, translator, and new media artist Joel Lewis is the actualization of the late William Matthews observation: "The only adult males I know who lack driver's liscences are poets" With a back pocket filled with bus passes, light rail tickets & PATH cards who sets out from his home base Hoboken to battle daily with an impassive universe. His most recent book is "Learning From New Jersey" (Talisman House) and his poetry activism ranges from editing the selected poems of Walter Lowenfels to hatching the idea for ill-fated NJ Poetry Laureateship that caused such tsorres for Amiri Baraka. Ron Loewinsohn was born in 1937 in the Philippines, and first came to the US in February, 1945. After a few tentative moves, his family settled in San Francisco, just in time for him to be swept up in the literary renaissance of the 1950's. He was educated at Berkeley (BA 1967) and at Harvard (PhD 1971), but got a great deal of his education in the bars of North Beach. In 1960, through a series if flukes, he was asked to teach a poetry workshop at SF State Extension, and realized that teaching was what he wanted to do. 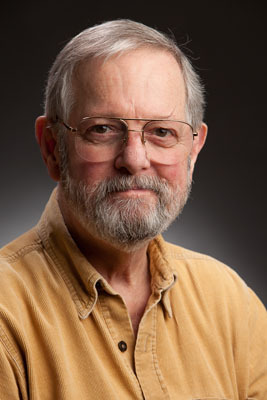 He taught in the UC Berkeley English Dept from 1970 till he retired in 2005---- thirty-five terrific years. he has published seven or eight books of poems, and two novels, in addition to an edition of prose writings by W.C. Williams, "The Embodiment of Knowledge". He is currently working on the memoir that's excerpted here, and also (with a Montreal-based producer) on a screen adaptation of his first novel, "Magnetic Field(s)." Bobbi Lurie’s third book, Grief Suite, is forthcoming from CustomWords. Her other books are The Book I Never Read and Letter from the Lawn. Her work can be found in many print and on-line journals including American Poetry Review, New American Writing, Otoliths, Shampoo and diode.